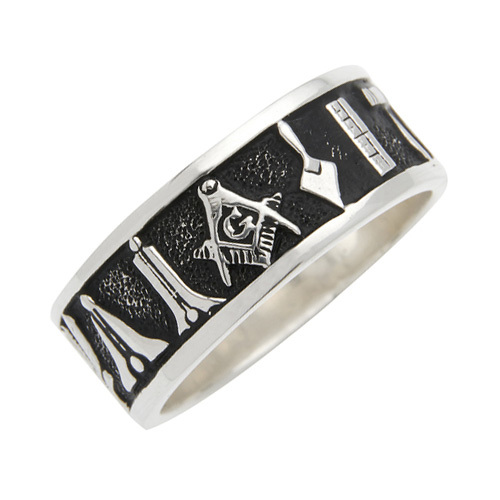 This antiqued 10k white gold masonic wedding band is decorated with working tools. Ring top width: 8mm. Solid back. The working tools featured are: third degree, plumb bob, trowel, ruler, level, gavel, hour glass, apron, altar, and the pillars around altar. Made in the USA.